WEST LAFAYETTE, Ind. — Youth with disabilities can participate in a five-session Pete’s Pals program that offers community-based aquatic and motor therapy sessions. The program is designed to help children become efficient movers in a fun and safe environment with physical activities that help improve muscular strength, endurance and flexibility, said Kevin Richards, a graduate student in Purdue University’s Department of Health and Kinesiology. Pete’s Pals also provides opportunities for Purdue students to get hands-on experience working in practical settings. Students interested in applying can contact Kevin Richards atkarichar@purdue.edu. Each person with disabilities will be paired with a clinician, and they will work together throughout the five-week program. The pairs will participate in games and activities in Faith’s gymnasium for the first hour, then go to Faith’s pool for 30 minutes of swimming. 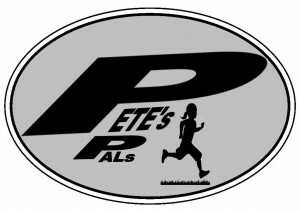 Pete’s Pals is sponsored by the Department of Health and Kinesiology and coordinated with Faith Community Center.